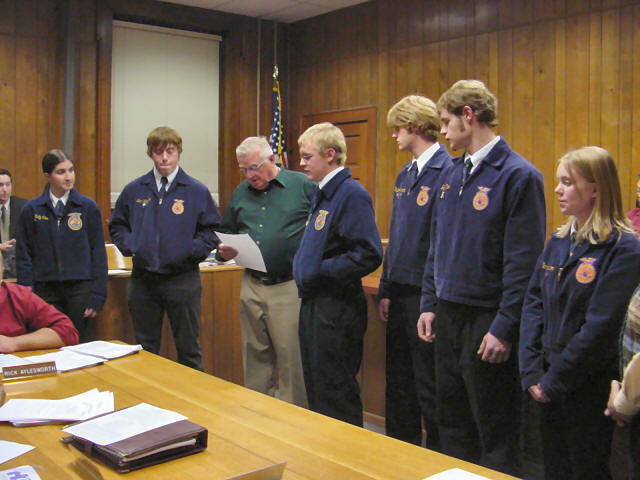 Logan County Board Chairman Bob Farmer congratulates members of the winning Hartsburg-Emden High School FFA team. The ag issues debate team took fourth place at the National FFA Convention at the end of October. Not pictured is school sponsor Betsy Pech.